Juan Williams : The Two-Way Media and political analysts interviewed on All Things Considered agree: NPR acted hastily when it terminated the news analyst's contract following his comments on Fox News about Muslims. 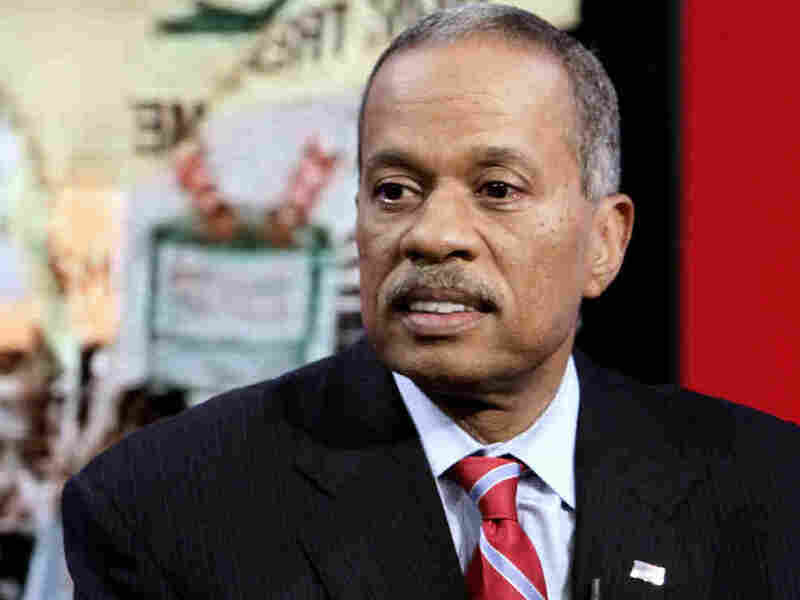 The controversy over this week's termination of news analyst Juan Williams' contract with NPR continues and much of the discussion, including on today's edition of All Things Considered, centers around harsh criticism of the way NPR handled his firing. It was "a very poor decision," New York Times conservative columnist and NPR contributor David Brooks said on the air just a short time ago. "The merits of what Juan said ... (were) certainly within the realm of acceptable discourse." Williams' contract was terminated two days after he said on Fox News Channel's The O'Reilly Factor that he gets nervous when he sees people in "Muslim garb" on airplanes. Also on that show, Williams argued that Muslims should not be stereotyped as terrorists. "He should have been given a chance to talk" to NPR management in person before the dismissal, said E.J. Dionne, liberal columnist for The Washington Post and another NPR contributor. Williams has complained that he was dismissed during a phone call from NPR Senior Vice President for News Ellen Weiss. NPR has said that he was advised several times in recent years not to express personal opinions about controversial topics if he wished to remain as a news analyst with the organization. It is NPR's position that Williams' contract was terminated because his comments violated the organization's standards. Williams has said he thinks NPR wanted to end its relationship with him because he also appeared as a paid commentator on Fox. That network announced Thursday it was extending its contract with Williams. Kelly McBride, who teaches about journalism ethics at the Poynter Institute, said on ATC that NPR was within its rights to end its relationship with Williams, but that if management had "attended to the conflicts" raised by his commentary on Fox earlier, any problems "could have been avoided." Finally, American Journalism Review editor Rem Rieder said NPR appears to have acted "abrupty ... rashly" and made "an overly hasty decision." One other point of agreement among the analysts on ATC: As Rieder put it, this is "a totally unnecessary black eye" for NPR. "It looks like (NPR is) hell bent on enforcing political correctness," he added. "It kind of just reinforces all those notions." "I'm concerned about the damage to NPR," Brooks said. Critics -- many from the conservative side of the political spectrum -- are again accusing NPR of having a liberal bias. In Brooks' view, "that stereotype has been completely unfounded" for at least 10 years. But now, "NPR's reputation will be hurt." Rieder, by the way, wrote today that NPR was "moving too fast" when it cut ties with Williams. Also weighing in on the Tell Me More blog was frequent contributor Jimi Izrael, who notes that he is "one of the few regular black male voices on NPR." His post, Here Today, Juan Tomorrow?, expresses concern about diversity issues ... and wonders whether he might one day find himself on shaky ground for offering commentary.